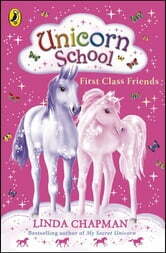 It's the first day of term at Unicorn School and little Willow is feeling rather nervous and excited, but she soon settles in and makes new friends. Life at school is full of fun and adventure, but one day an older unicorn plays a mean trick on Storm and lands him in big trouble. Willow is determined to help her friend, even if it means putting herself in danger – after all, isn't that what friends are for?